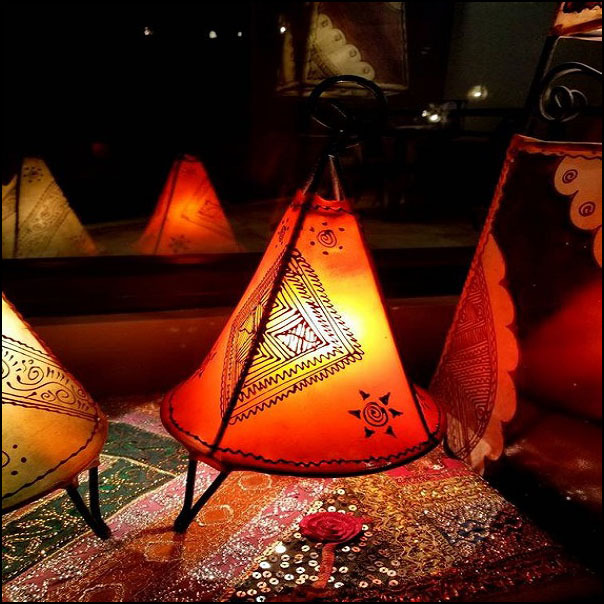 14″ Orange Moroccan Goat Skin / Henna Lamp. Handmade Moroccan Goat Skin / Henna Lamp, measuring approximately 14″ x 6″. Can be used in a number of ways, in your home or office. This lamp comes electrified and ready to use. A great buy at a great price. Also available in other sizes and colors. Henna design may vary slightly. Please contact us with any questions you may have.